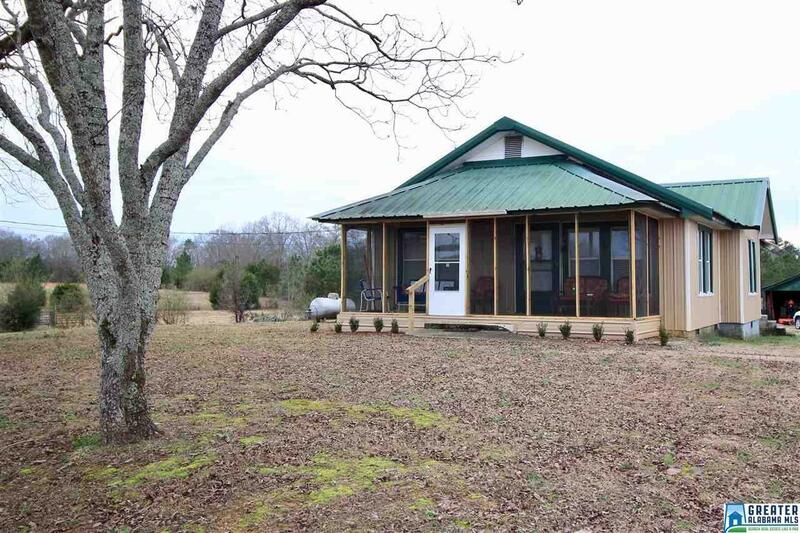 Just minutes from the Interstate.. Come enjoy this mini farm while sitting on your covered front porch!! Features mature pecan trees, a creek, new barn, older barn, workshop, and pastures already fenced for your animals, Bring your cows, horses, chickens & have a room for a garden. The exterior of the home is maintenance free with metal roof & siding. Interior has been updated with new hardwoods throughout, additional cabinets & countertops in kitchen, ceramic tile walk in shower in Bath. New AC unit 2017. Home is on city water but also has well water to support the pastures. Driving Directions: I-20 Exit 168, Go North On Hwy 77, Turn Left Onto Magnolia St, Turn Left Onto Hackney St, Home Will Be On The Right.